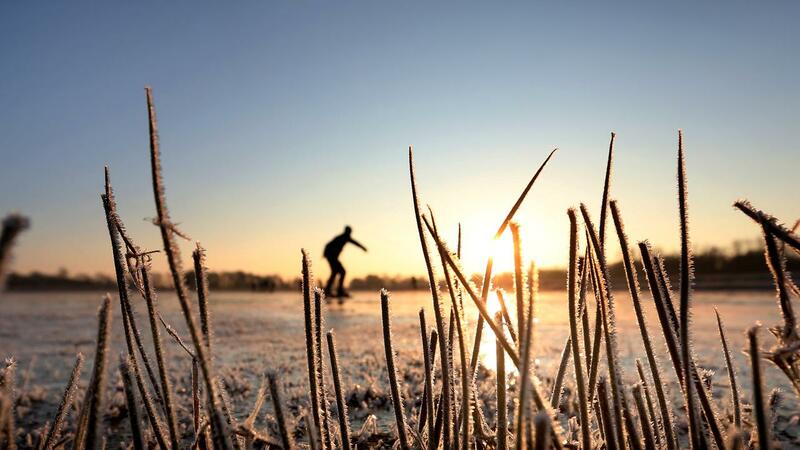 With temperatures around and below the freezing point, it is winter weather in the Netherlands. About what that cold does to your health, different stories are told. How do we separate the fables from the facts? NU.nl presents Hein Daanen, professor of exercise physiology at VU University Amsterdam, a number of theses about cold. Daanen is an expert in the heat management of the human body. Daanen: "In the night the core temperature of the body decreases, but the skin becomes warmer." People fall asleep easier with warm hands and feet, explains Daanen. "The sleeping center and the temperature regulation are right next to each other in the brain." That is why it may be useful to put on socks if you fall asleep due to the cold. "But it does not yield any benefit anymore during sleep." Daanen: "A human body has two possibilities to adapt to the cold, and when it is cold we are the first to keep the temperature around the brains and the heart at the required level, but that is at the expense of the circulation of the hands and feet. It is lowered by narrowing of the blood vessels, making them cold, and secondly, we can make warmth by shivering and chattering teeth.When you shiver the body makes heat in the muscles.When the body is at rest, it makes 100 watts of heat, with shivering that is even 300 to 400 watts. " Daanen: "Often people wear warm clothes in cold weather, but they do not always wear a hat or gloves, and if the rest of the body is well packed, it makes sense that the head loses a lot of heat, but this would also apply to a foot or other part of the body that is not well wrapped in. However, the head loses a relatively large amount of heat because there is little blood vessel constriction in the cold, so it is wise to put on a cap. " Daanen: "A good trick to get the body and hands warm again is to drink hot, a hot drink makes the temperature in the body's core higher, and then the body reacts by adding extra blood to fingers and toes. Alcohol, on the other hand, is detrimental to getting it warm again, because the alcohol reacts differently to the cold and does not start with shivering or chattering teeth.With hot food, the core temperature also increases. it is digesting. " Daanen: "If you are already cold in the house, you are already cold when you go outside.It is advisable to dress warmly in the house on the cold outside.If you then from the cold in a warm space comes, the body heats up again, then take off the jacket so that the ambient heat can heat the body and the coat. " Daanen: "This is a persistent fable: people used to skate with petroleum jelly, for example, and scientific research has shown that applying Vaseline increases the risk of cold leakage. Skin remains, then there is a risk that this moisture will freeze. " Daanen: "We always have to adjust our insulation to our efforts.If you sit still you need an extra layer of insulation, but when we go to work outside, it is wise not to wear too many clothes, because in cold weather it is better to keep below the sweat threshold, sweating is made to cool the body, but of course you do not want it in cold weather.Also if you do not need a lot of clothing during exercise, the body needs to be well packed during the exercise. break or when the sport is finished, otherwise you will lose heat very quickly. "